Positioned at the front part of the neck is the butterfly-shaped thyroid gland, which produces the level of hormones considered necessary for standard, working metabolism. You might consider the thyroid and its hormones being to the human body what a drummer is to an orchestra or band; its primary role is to set the rhythm and pace for most of our body functions – they regulate our metabolic rate and the speed at which our organs and tissues operate. Therefore if the thyroid fails to work properly, it upsets the body’s entire rhythm. If yours is underactive or overactive, seek effective natural thyroid treatment at Melbourne Natural Medicine Clinic in North Melbourne. Proudly servicing the needs of local residents as well as those in nearby suburbs like Brunswick, Fitzroy and other surrounding areas, we can help you get your thyroid functioning consistently. What are the Highs and Lows of Thyroid Function? You might experience a variety of different symptoms if you have a dysfunctional thyroid. Natural thyroid treatments are intended to address and resolve issues surrounding weight, energy levels, appetite and mood, but the effects will vary depending on whether the gland produces hormones at a greater or lesser rate than it should. Melbourne Natural Medicine Clinic has a specialist thyroid naturopath on staff who can assess your levels and prescribe the most suitable natural thyroid treatments to get your body back on track. Whether you’re looking for a natural treatment for hypothyroidism or hyperthyroidism, discover how we can help you. How do you treat an under or overactive thyroid? 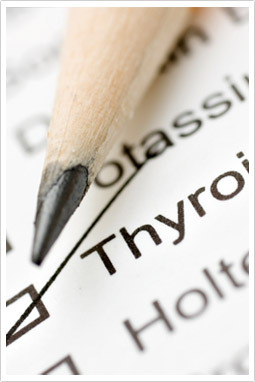 Testing your thyroid is the only way to see what your levels are. If the levels are too high, your thyroid naturopath might recommend a natural treatment such as a blend of traditional calming herbs that may help you to manage your symptoms and slow down the production of the hormones that increase your metabolism too much. However, if your test reveals that your thyroid is not producing enough hormones – that it is underactive – you might feel tired, cold and experience poor moods. To increase the function of your thyroid, your MNMC thyroid naturopath may prescribe a hypothyroid natural treatment such as a combination of various herbs and nutrients to improve circulation, warm the body and assist with weight loss. By combining the wisdom of nutrition and herbal medicine, we can assist in thyroid treatment to help you feel your best. If you are on pharmaceutical medication prescribed by your General Practitioner, any hyper or hypothyroidism natural treatments prescribed by your thyroid naturopath will work in conjunction with your medication, not against it. If you feel that your body is functioning either too fast or too slow, or that the orchestra of your body has packed up and gone home, come and see us today to learn about our natural thyroid treatments. Take a proactive approach and consult one of our highly qualified naturopaths at MNMC. You can make an appointment online, email us, or phone us on (03) 9686 2566. Our clinic at 49 Chetwynd St, North Melbourne, is open six days a week. With such a convenient location, our thyroid naturopath often welcomes clients from all over Melbourne, including Fitzroy, Brunswick and the rest of the inner north.